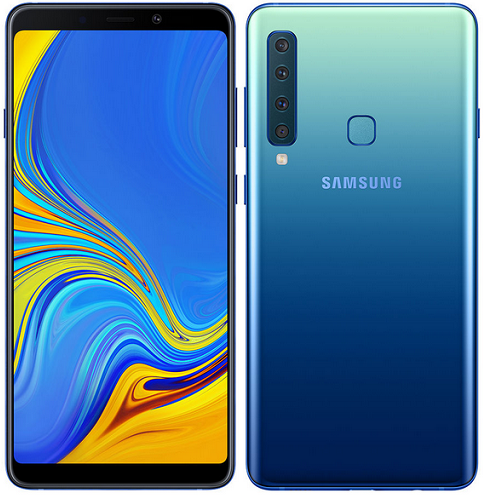 Samsung has introduced the world first Quad camera smartphone dubbed as Galaxy A9. 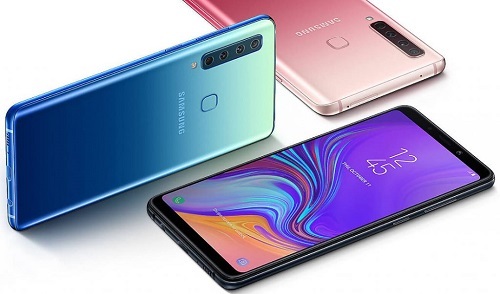 The Galaxy A9 2018 features a similar design to the triple-camera Galaxy A7 released earlier this year. The Galaxy A9 has a large Super AMOLED screen – 6.3” in diagonal. It has 1,080 x 2,220px resolution and is notch free. There’s a 24MP selfie camera (f/2.0) above that screen. This brings the camera count to 5 total. The four lenses comprising the Galaxy A9’s camera system includes 24MP PDAF, 8MP ultrawide, 10MP telephoto, and 5MP depth sensors. It’s powered by a Snapdragon 710 with up to 8GB of RAM, has a rear-mounted fingerprint scanner, and packs a 3,800mAh battery with support for fast charging. 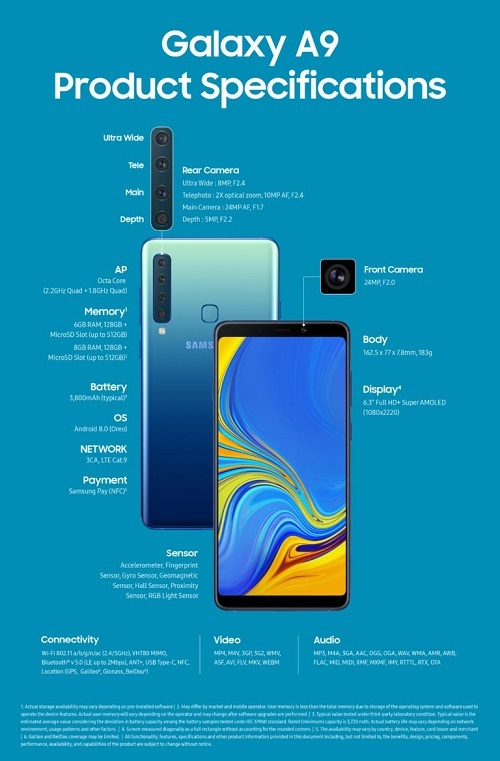 Samsung were probably pissed that Huawei beat them to the triple camera game so they launched this quad core cam so their name will be written first in the pages of history. Great phone by the way. would be value for money whatever price tag they slap on it. This phone is very sweet. Will this cameras add ferrari or buggatti in my pics, will it change my #1500 slippers to 50k Nike? Like Razzi, Not interested. I kind of like how Samsung batteries are now getting bigger.